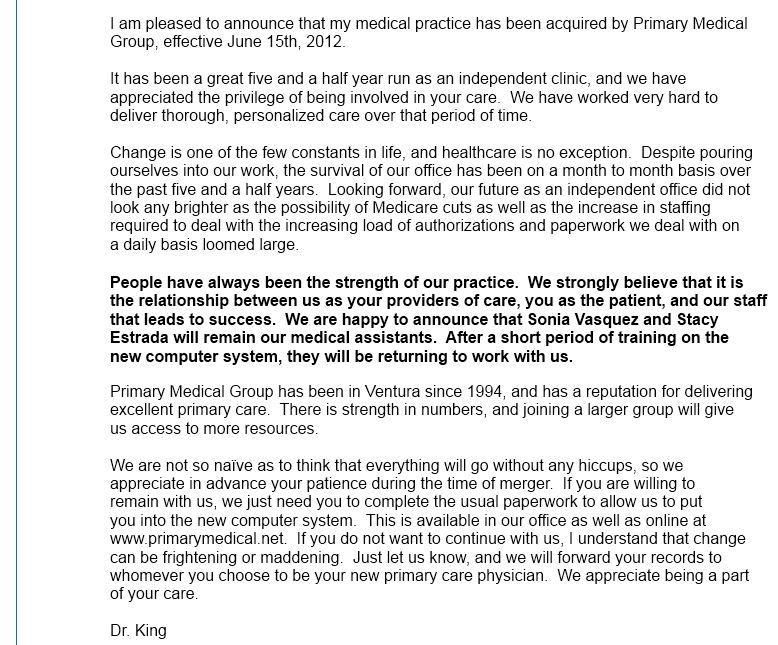 Dr. King's practice has been acquired by Primary Medical Group, effective June 15, 2012. See current information from Primary Medical Group website, http://www.primarymedical.net/. Minor surgical procedures- biopsies, suturing, IUD placement, and more. Dr. King is located near Community Memorial Hospital and Ventura County Medical Center.